Despite stumbling a bit in season two (mainly due to the Michelle Forbes plot taking forever to get anywhere), True Blood remains one of the best guilty pleasures on television. 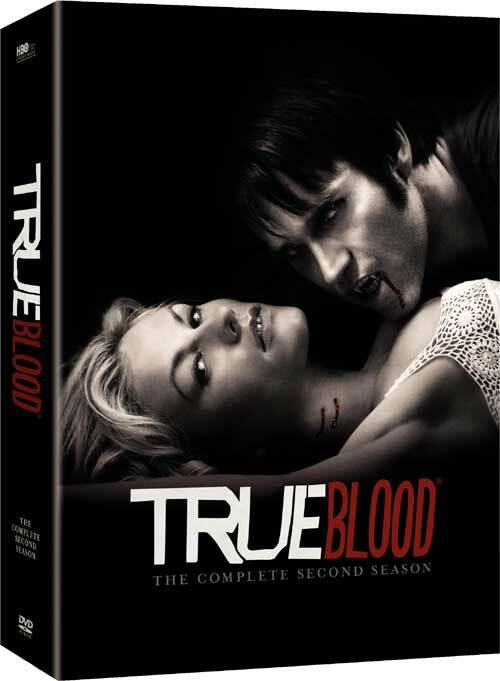 Set in rural Bon Temps, Louisiana, season two of True Blood continues the romance between waitress and amateur psychic Sookie Stackhouse (Anna Paquin) and gentlemanly vampire Bill Compton (Stephen Moyer). The season sees Sookie's dim-witted brother Jason (Ryan Kwanten) fall under the spell of a Fundamentalist church determined to kill all vampires, explores more of the vampire world's culture and government, and introduces Michelle Forbes as a mysterious newcomer with a powerful sway over the locals. 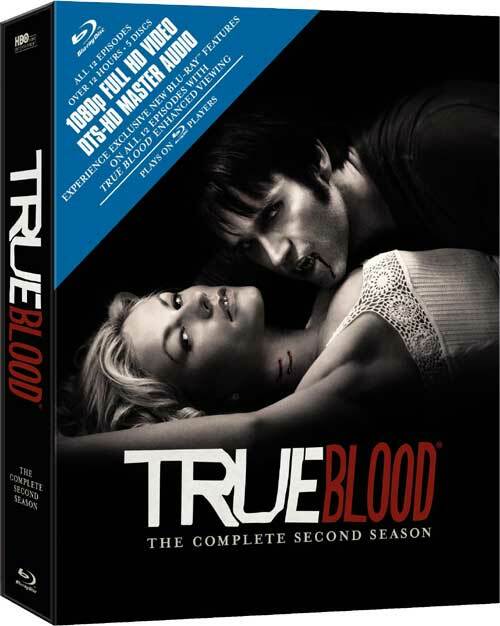 It also strengthens True Blood's reputation as the nakedest supernatural soap opera around. Just sayin'. "Fellowship of the Sun: Reflections of Light" -- Gives “rules to live by” from Fellowship of the Sun leaders Steve and Sarah Newlin. "The Vampire Report: Special Edition” -- Highlighting the year’s biggest stories in vampire news, politics, and pop culture. Audio commentaries including creator Alan Ball, Anna Paquin, Stephen Moyer, Alexander Skarsgård, Michelle Forbes, Ryan Kwanten, Sam Trammell, Rutina Wesley, and more. True Blood Enhanced Viewing -- Picture-in-picture interactive content on all 12 episodes. Character Perspectives -- Straight from the mouths of Hoyt, Pam, Karl, and Steve Newlin. Flashback/Flash Forward -- Allowing the viewer to relive pivotal moments and revealing the significance of certain scenes. Pro/Anti-Vampire Feeds -- News updates and information from the American Vampire League and the Light of Day organization that helps fans decide which camp they support. Hints/FYI -- Trivia facts, show hints and clues.